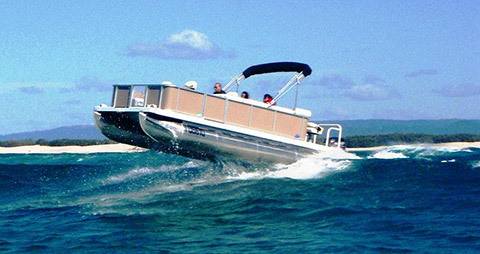 Orca Tube Craft Offshore certified pontoon boats new design from Australia by Orca Marine Inc., with proven performance delivering high speed from small outboard motors offers economic benefits, plus low maintenance and reliability. 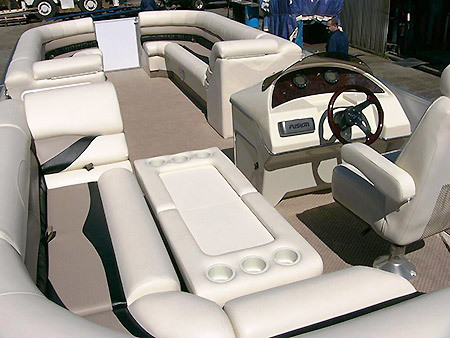 Pontoon boats / deck boats offered for sale worldwide by Orca Marine Inc. 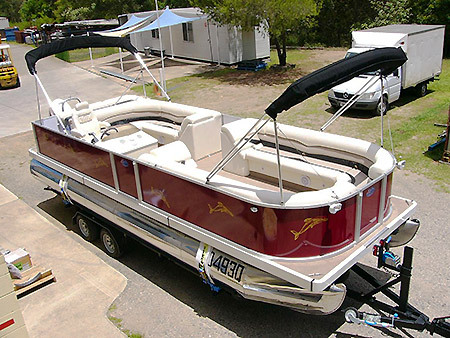 Whether you call them deck boats or pontoon boats the advantages of a safe, multi-purpose, high speed, shallow draft boat for passenger comfort, scuba diving and sport fishing make these Australian pontoon boats a winner for developing tourist locations. Nothing like the deck boats of old, this new design pontoon boat can do much more . . . and with so much less. The power source that the pontoon boat in the video used, to reach speeds in excess of 25 knots, is a single, 90HP 2-stroke outboard!! Orca Tube Craft Pontoon boats (deck boats) also provide huge advantages for first responders, especially for search and rescue following torrential rain and flooding. In coastal or estuary areas the pontoon boat can easily be deployed for fire fighting duties to protect waterfront property - it will get there fast, provide a stable firefighting platform and can deliver a virtually unlimited water supply. owner's version - pretty much any layout style you can think of . . . Currently available to order: 3-5 months from order confirmation. Location: where do you want it delivered?